We presented research from the LAC project and from Disko Island at two conferences in Asia this summer. The INQUA conference in Japan (26th July to 2nd August) was held in Nagoya and is held every four years for researchers who study the Quaternary time period (divided into the Pleistocene and Holocene). 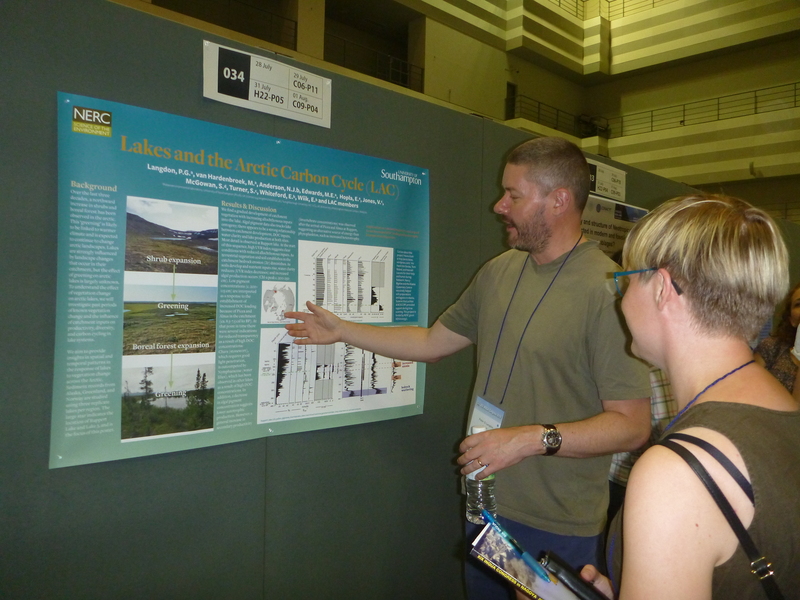 Suzanne McGowan presented her pigment results from multiple Arctic lakes in northern Norway, Alaska and Greenland, while Pete Langdon presented a poster on the LAC project as well as convening a special session on ‘Tipping points in the late Quaternary’. Mark Stevenson presented his PhD research on Arctic Lakes in Disko Island, west Greenland which included pigment and carbon isotope results. Everyone who attended was in agreement that the INQUA congress was very comprehensive and a great opportunity to networking. Highlighting the importance of this conference to Japan, the emperor and empress of Japan were in attendance at the opening ceremony! We then made the 3,000km journey (two or three consecutive flights) to Lanzhou in the central interior of China. 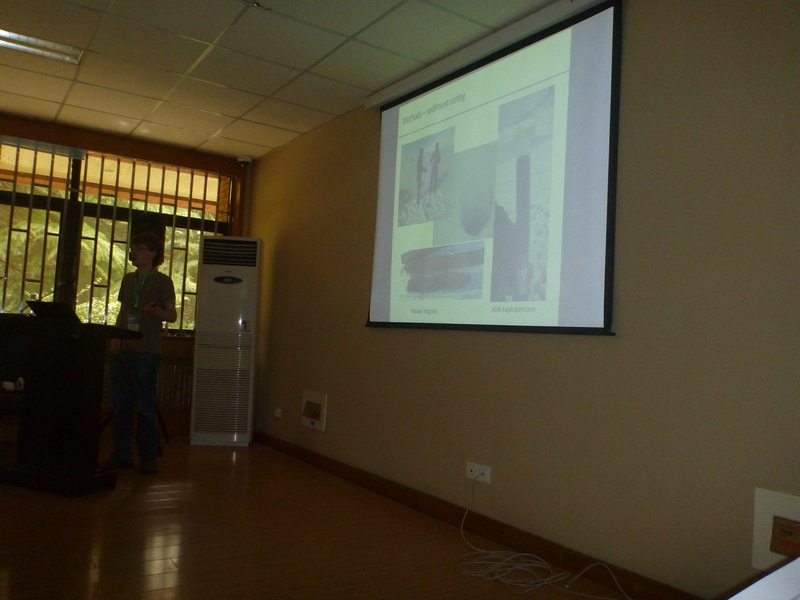 Here we attended the IPS (International Paleolimnology Symposium) at Lanzhou, China (4th to 7th August). The hospitality offered by the organising committee was very generous and the conference was again a great place to network. We were joined by Maarten van Hardenbroek who gave an excellent presentation on the Alaskan elements of the LAC project and John Anderson who convened a session and spoke enthusiastically on Nitrogen dynamics, which included many references to carbon cycling. The audience were impressed by the detail of the changes that linked to the tree-line advance. 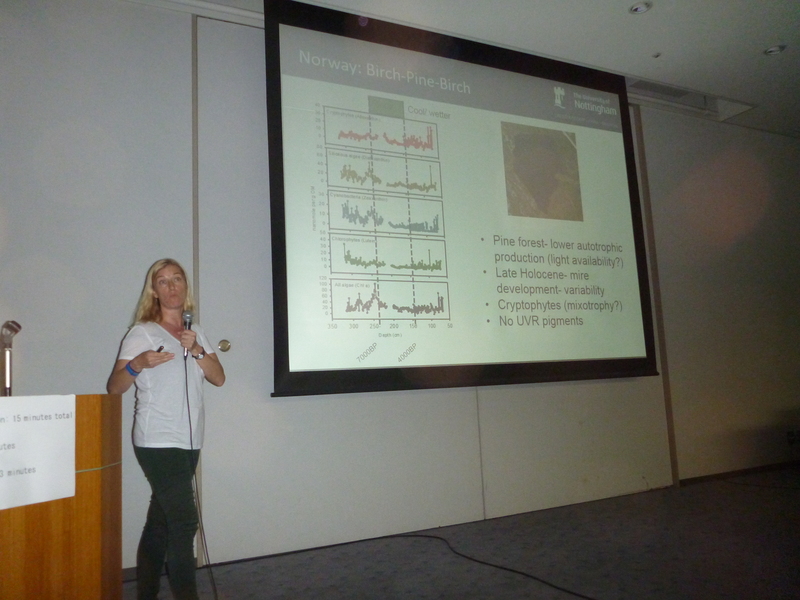 Suzanne McGowan in her keynote outlined the importance of ‘ecology’ within palaeo reconstructions, and Mark Stevenson gave his talk on carbon cycling in Disko Island lakes to the west of Greenland. Pete Langdon presented the LAC poster which sparked many hours of discussion and debate and presented an enthusiastic talk on using salmon populations to reconstruct changes in the Atlantic over the past 2,000 years. We really enjoyed the conferences and are now going into the final stages of the project. As the data rolls in our understanding of the importance of Arctic lakes in the global carbon cycle increases!